As far as castles go, Peveril enjoys a near perfect defensive location: high on a rock, up a steep slope, overlooking the village. Once upon a time, the tall square keep and high curtain wall would have been visible from a long way away, proclaiming the power and strength of the Warden of the High Peak. So it's a pity that the best epithet to describe Peveril Castle's history would have to be 'mostly harmless'. It wasn't involved in epic power struggles or grand battles. It wasn't attacked by cannon fire and didn't face down large armies. For most of its history, the owners of Peveril Castle were more concerned with local administration rather than warfare until the well-situated castle fell into ruin. Peveril castle was built soon after 1066 by William Peveril, who was given substantial estates in Nottinghamshire and north Derbyshire by William the Conqueror. Contrary to common practices, Peveril seems to have started building in stone straight away, without first erecting a wooden palisade and keep. William Peveril lived until 1114, trusted by William the Conqueror and the two sons who succeeded him, William II and Henry I. William Peveril's son, though, was much less successful. During England's first civil war he backed the wrong side, ultimately making an enemy of Henry, the son of Empress Maud, who would be crowned King Henry II in 1154. When Peveril was accused of having tried to poison the earl of Chester, the fate of his estates was sealed. Henry II restored the Lordship of the Peak to the crown and brought Peveril Castle under the control of the Crown. Peveril Castle's most striking feature, the square keep, was built by Henry II, who used the castle to keep a close eye on the Midlands and any barons who had supported King Stephen. He visited the castle three times during his reign. During the 13th century, the castle was maintained and used as a base from which to administer the Forest of the Peak, but in later centuries - when castles were seen as less necessary and costly to keep - Peveril Castle stopped being used as a residence. 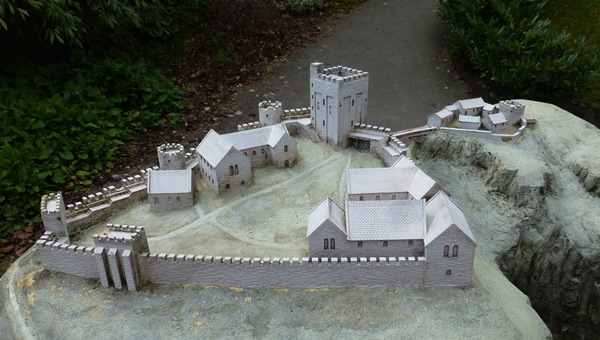 Lead from its roof was removed and used to repair Pontefract Castle. 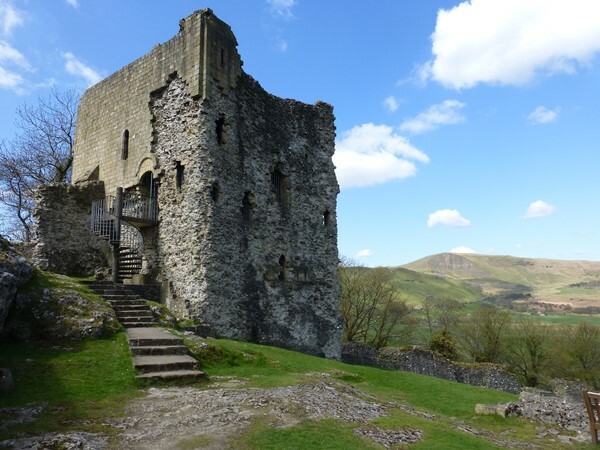 Without necessary repairs the fabric of the building decayed until a survey undertaken for King James in 1609 declared Peveril Castle "very ruinous and serveth for noe use." During the 18th and 19th century, the ruined castle became part of the landscape. Beloved by the romantics, the picturesque site was painted and immortalised in verse until the castle was finally placed in the custody of the Office of Works and finally English Heritage, who make every effort to preserve the castle for future generations. 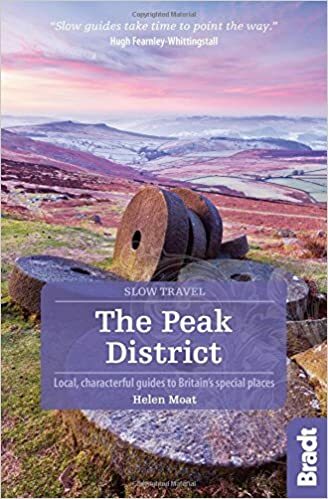 Visitors to the town of Castleton might come to explore the caverns, climb Mam Tor, walk Cave Dale or Winnats Pass, admire jewelry and ornaments fashioned from the local Blue John stone or simply sit and contemplate a castle that has watched over the town since the Conquest and will continue to do so for many years yet. Peveril Castle is not the only dramatic, historical site in Derbyshire. 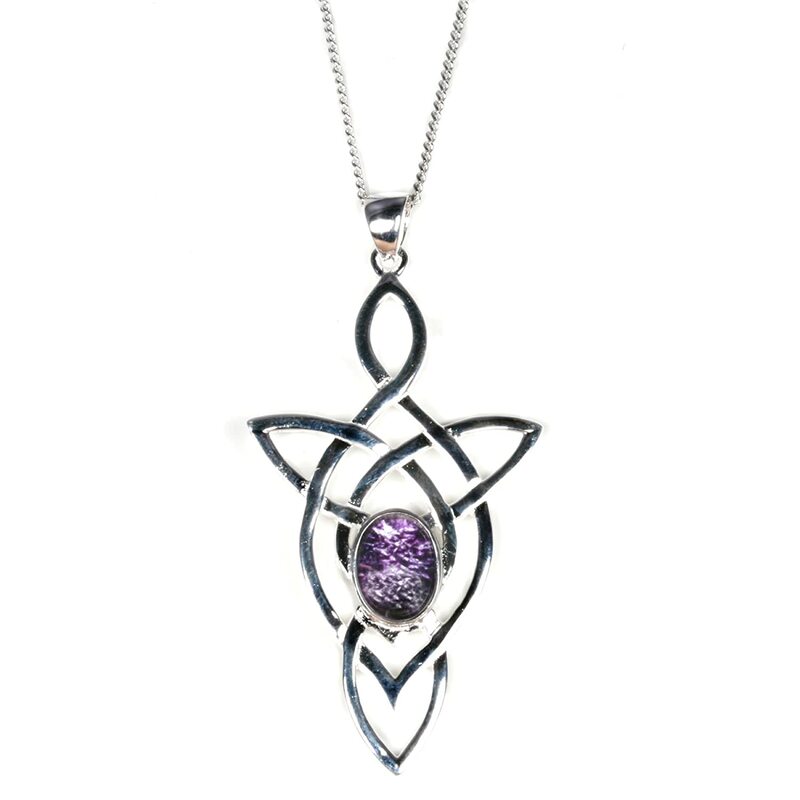 We suggest you explore some more!